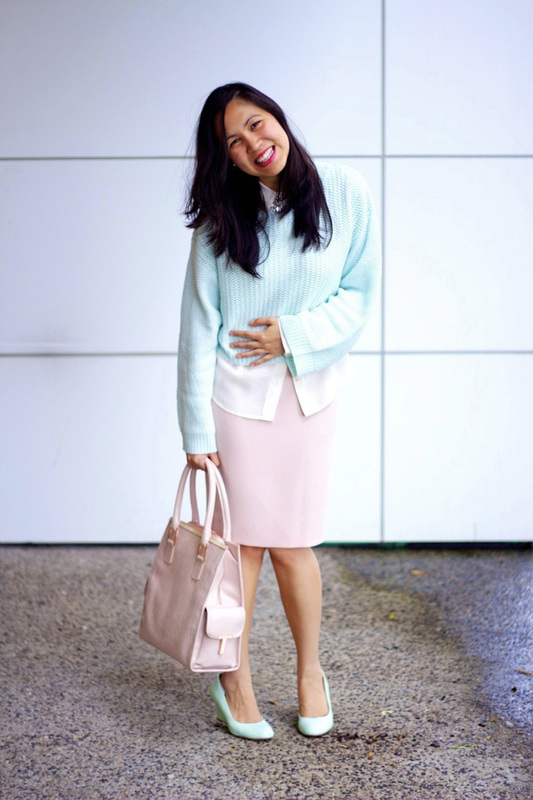 This is one of the outfits I didn't get a chance to shoot at MBFWA due to the heavy rain that consistently made a well-timed appearance, it turns out the next week wasn't much different! 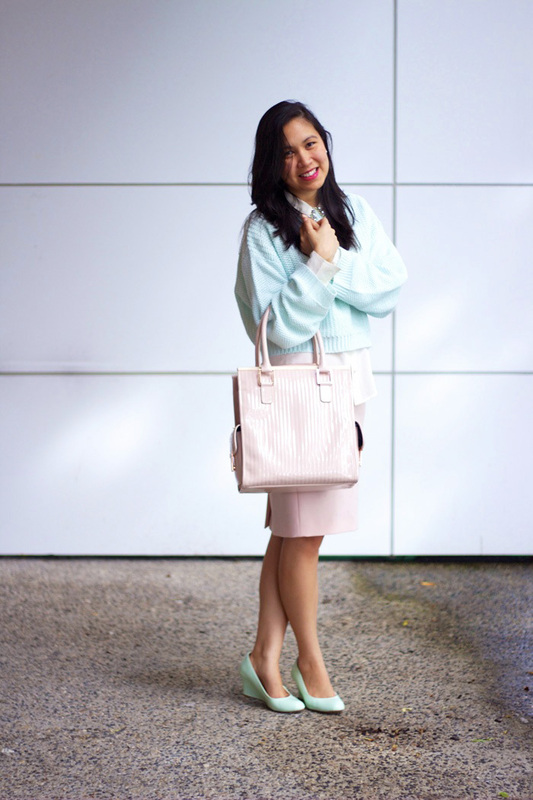 Drawing inspiration direct from the runways, here's a delightfully pastel outfit that made me feel like a strawberry-mint paddle pop and oh-so feminine at the same time. I haven't had the chance of working with Hugo Boss before - their cut and tailoring is precise, so perfectly shaped to flatter the female form that you can understand why they're such an established designer house. I'm so glad mint is back, personally it's my ultimate colour...I'd even go so far as to call it my signature colour. I hope you enjoy my first rained-out shoot and a little blooper shot thrown in just for fun!